IBM is working with Circuit City Stores, a leading specialty retailer of consumer electronics, to explore how to apply virtual worlds and 3-D environments to retail business models. The relationship aims to experiment with the introduction of virtual worlds into the multi-channel retailing environment. As retailers focus on improving the customers' experience, connecting the virtual world with the real world to solve business problems can create a richer, more immersive experience for Circuit City's customers. This work is an extension of IBM and Circuit City's existing systems collaboration. 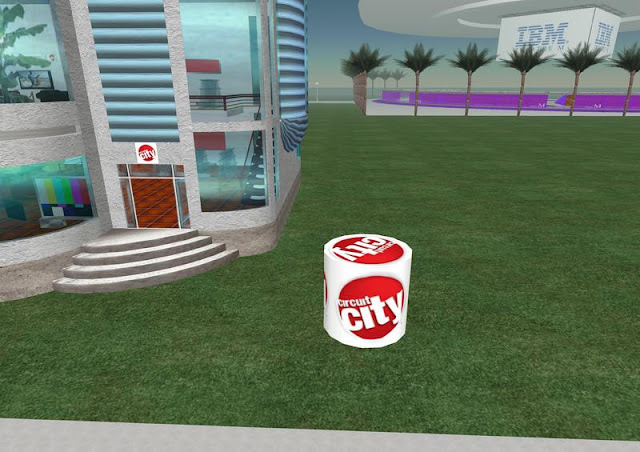 To kick off this experimental work, the companies have opened a prototype virtual Circuit City store, which replicates in 3-D products available in real Circuit City stores and on circuitcity.com. 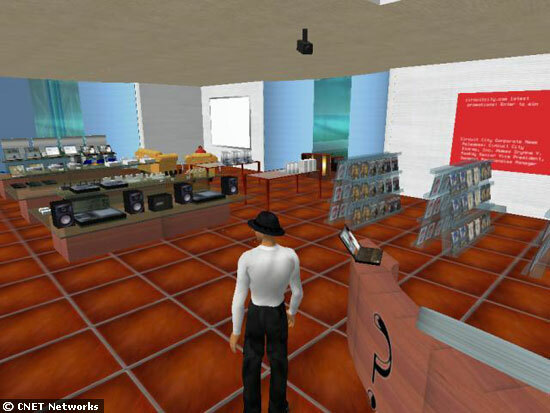 The Circuit City prototype store was part of an IBM complex opening to the public in the virtual world of Second Life. These immersive environments provide an interactive forum for testing and feedback as we focus on the next generation of customer service," said Bill McCorey, senior vice president and chief information officer of Circuit City. 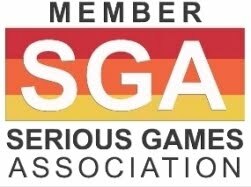 "Our ultimate goal is to understand the implications of virtual 3-D worlds on multi-channel retailing and to extend the connection we have with our customers to new spaces." A number of experiments are already underway with the virtual store. For example, instead of browsing through a catalog on a Web site, consumers can use their "avatars" to walk the aisles of the virtual Circuit City store and pick up and examine products in a way that is closer to real life. Customers can then order those items to be delivered to their homes, much like the way they would order on the Internet. 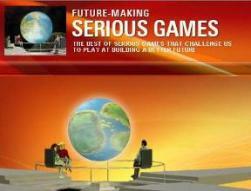 These experiments -- with innovative companies like Circuit City -- are part of an IBM-led initiative to collaborate with clients and partners in three ways -- conducting business inside virtual worlds; connecting the virtual world with the real world to create a richer, more immersive Web environment; and to solve business problems in a new way. In addition to virtual commerce, IBM works with clients, employees and alumni to use virtual worlds to drive collaboration and provide a more immersive online educational experience. 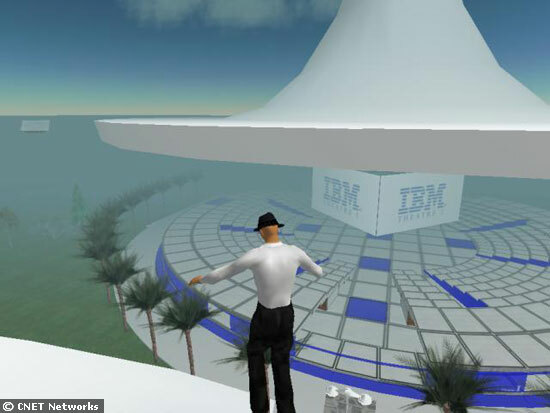 IBM uses virtual worlds to connect with its alumni population and for on-boarding and educating new and current employees. 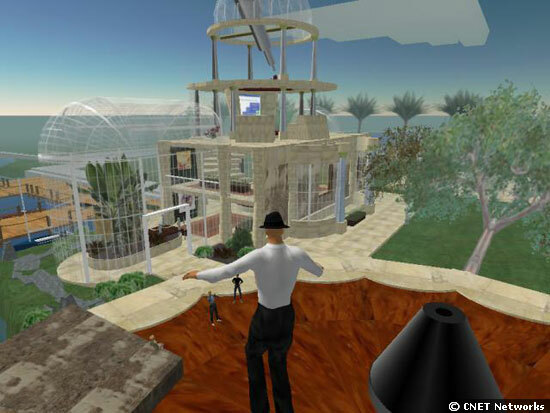 Virtual worlds have proven an effective tool to help simplify the complex, with 3-D models and interactions that cannot be recreated in a Web conference or phone conversation, and have been useful in connecting people around the globe to drive collaboration.